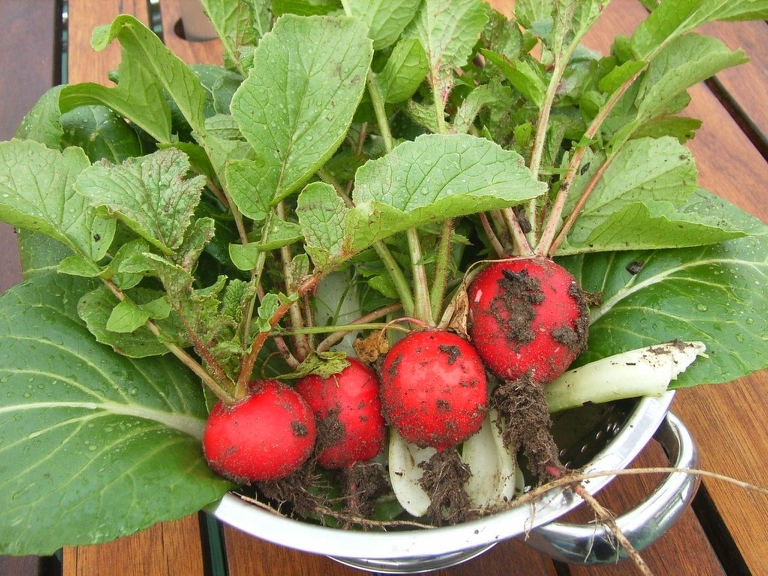 I also pulled the last of the radishes from that sowing, as I didn’t want to eave them in any longer, as they have been growing for almost 6 weeks no and they tend to get slightly ‘spongey’ inside & lose flavour. So, I made my family a big salad to use up all the radishes, and I steamed my lovely bok choi for 4-5 minutes in my rice cooker/steamer machine. Such a nutritious meal! This entry was posted on November 6, 2008 at 8:12 pm and is filed under Evening Meal, gardening, salads. You can follow any responses to this entry through the RSS 2.0 feed. You can leave a response, or trackback from your own site.